highest such percentage of large metros. Social and economic gaps between black and white Americans exist across the nation virtually without exception. 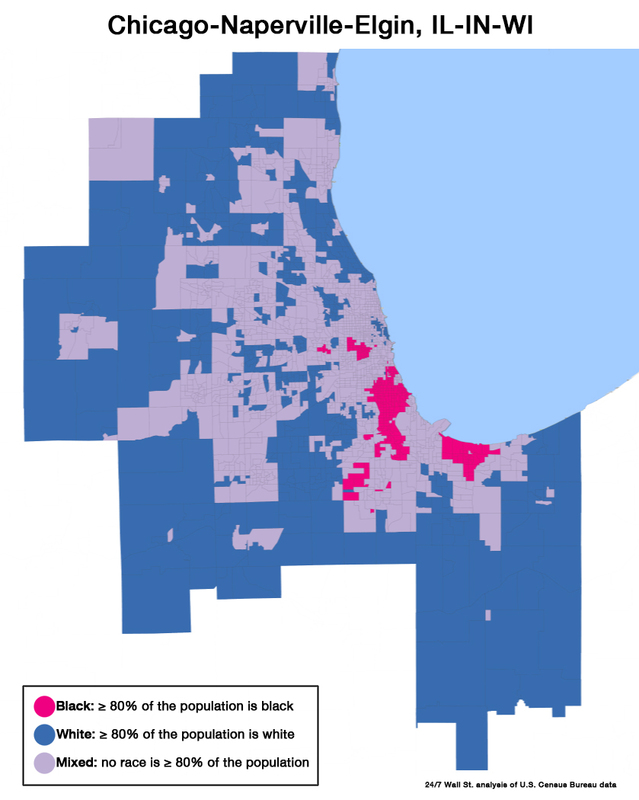 In the Chicago area, the gaps are especially wide. The black poverty rate is more than three times that of white area residents, one of the largest such disparities nationwide. These are America’s most segregated cities.Click here to see America’s most segregated cities.